Set in a small Midwest town in the late 1960s and helmed by an unforgettable young protagonist—compassionate, uncannily wise Grace—This I Know is a luminous coming-of-age story from an astonishing new voice. Eldonna Edwards grew up in a large family nestled between cornfields and churches in the provincial Midwest. She eventually escaped the harsh winters, moving to California where she expanded her career from journaling facilitator to author to beloved writing instructor to keynote speaker. 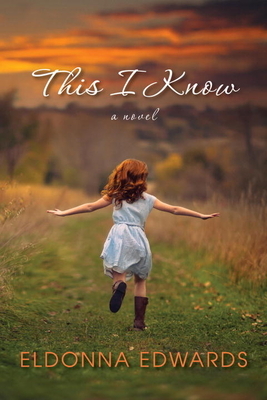 Her bestselling debut novel, This I Know, won over the hearts and minds of readers everywhere and was a Delilah Book Club selection. In her second novel Clover Blue (May 2019) Eldonna once again explores themes of otherness and belonging, and the true definition of home. She is also the subject of the award-winning documentary Perfect Strangers that follows one kidney patient and one potential kidney donor in their search for a possible match. Her 2014 memoir Lost in Transplantation chronicles this life-changing decision. Eldonna currently lives and writes in a tiny pink house with her best friend, Brer.